An RFIDsecur shielding card protects your contactless ID’s and credit cards from data theft and fraud. These are things that cause a huge amount of anxiety for a lot of people when using contactless cards and carrying them around. Wondering why it causes anxiety? 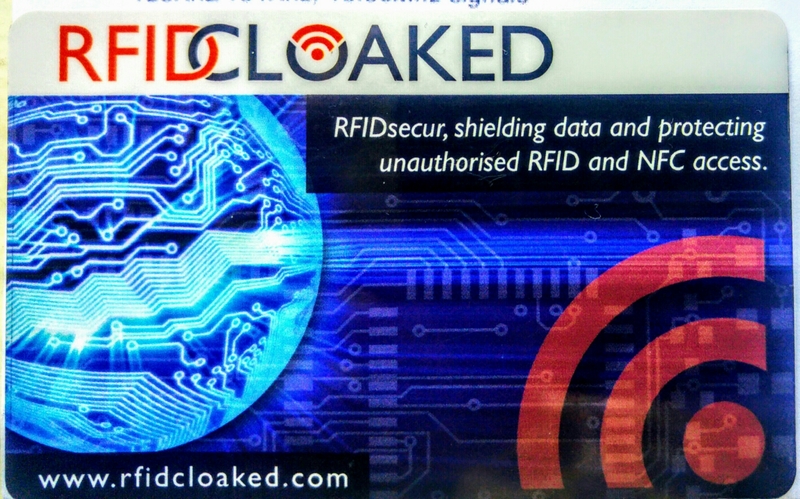 Anyone who follows my blog will know I have anxiety and I do worry about using and taking my cards out in public but now RFID Cloaked have come up with a brilliant safeguarding solution, I feel much more confident when carrying my cards! RFID Cloaked have developed the shielding card which 0.3mm thin and slots in perfectly next to or in-between cards in your purse/wallet for the Kickstarter project. One card alone will protect 2 contactless cards at once which is brilliant for me as I tend to have the Mr’s contactless card in my purse a lot as he doesn’t use a wallet, aswell as my own contactless card. This ultra thin credit card sized shielding guard blocks both NFC and RFID frequencies (13.56Mhz and 125Khz). It doesn’t interfere with retail protection systems. The card is designed and made in the UK and is flexible. tough ough and provides security for all types of card, Door Access ID cards, through to contactless payments cards. Personally I think this is a brilliant project. It could help so many people who have anxiety carry contactless cards without worrying. I think the RFIDsecur Shielding card is a fantastic way of easily protecting your cards from fraudsters.